The men and women of the 315th Airlift Wing Alumni Association will provide a forum for discussion of common issues among alumni and offer a channel of communications with the 315th Airlift Wing. The association will initiate programs that meet the needs of our alumni, assist in fund-raising, recruitment and respond to requests for assistance from the 315th Airlift Wing. The 315th Airlift Wing Alumni Association will become a catalyst that will bring old members back to be part of current activities. It will provide an opportunity to see what their unit is doing today, to get information first hand, and allow them to provide that part of history and background that only they can. As an associate or alumni member…a small investment that will have vast rewards in the future...315th Airlift Wing people staying in touch. The 315th Airlift Wing Alumni Association will become a catalyst that will bring old members back to be part of current activities. It will provide an opportunity to see what their unit is doing today, to get information first hand, and allow them to provide that part of history and background that only they can. As an associate or alumni member…a small investment that will have vast rewards in the future...315th Airlift Wing people together. The organization began under the leadership of Colonel James D. Bankers, Commander, 315th Airlift Wing, now Brigadier General Bankers, Commander, Twenty-Second Air Force retired and a member of the association. The first charter meeting of the Alumni Association began 9 July 1994 at 9:30 a.m., in the classroom of building 171, Charleston Air Force Base, SC. During this meeting a set of By-Laws and the election of Officers were established as the 315th Airlift Wing Alumni Association under the direction of the Public Affairs Officer, Major Chris King and the Jag Officer Lt. Colonel Andy Savage. A copy of the documentation was filed on 8 September 1994 with the state of South Carolina IRS as a non-profit organization. 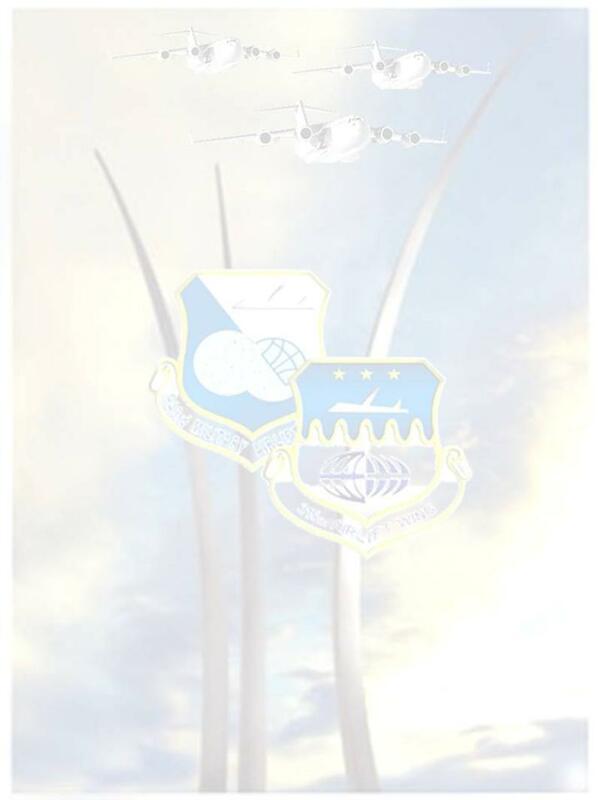 The 315th Airlift Wing Alumni Association founded July 1994 includes all squadrons and units of the 315th Reserve Airlift Wing, Charleston AFB, SC. The organization began with fifty-five (55) charter members. Today, we have nearly 1100 members and continue to grow. Our members are active reservists, civilians, retirees and those reassigned or separated from the 315th Airlift Wing Organizations Units. Monthly alumni meeting are held in Bldg. 59, Maintenance Group Conference Room at 0930 hours on the first UTA weekend each month. Members Squadrons/Units and guest are encouraged to attend these meetings. We invite you to join the association! We are proud of our military and civilians people who serve the 315th Airlift Wing and their country. Signed by: James D. Bankers, Colonel, USAFR Commander 315th Airlift Wing in the year of 1994. The association is an outreach program of the 315th Airlift Wing Command, Public Affairs Office, Colonel Timothy Wrighton, Commander....safeguard your military ties through the Association.